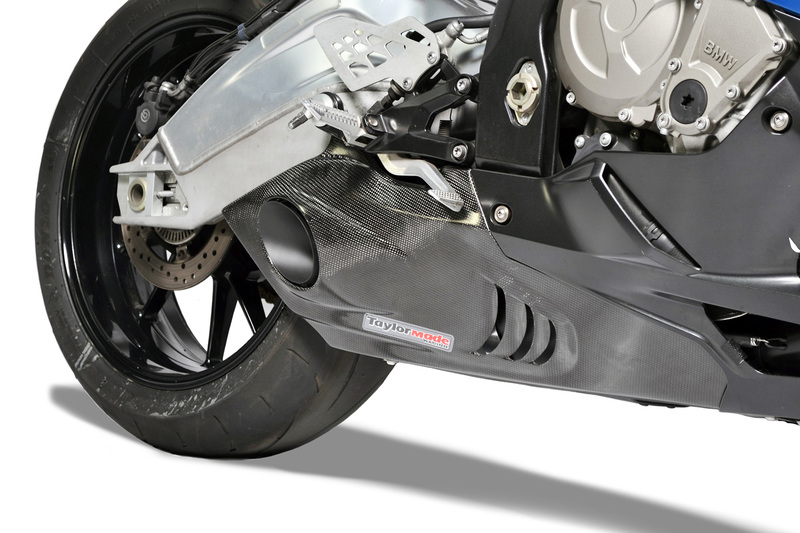 More performance – bigger diameter exhaust pipes deliver increased power, particularly in the midrange. Less noise – What you don’t see is our BMW-specific muffler which is a whopping 200%+ bigger. 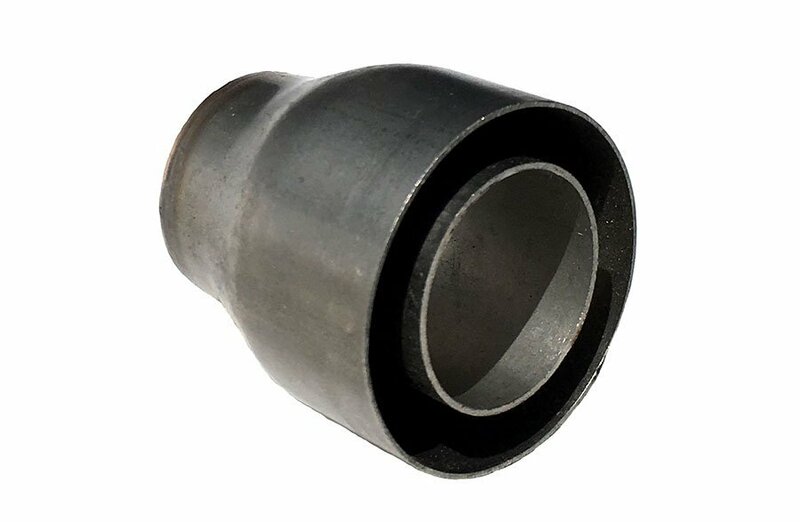 The bigger volume allows us to use internal baffling that reduces sound levels but does not compromise the increased performance from the headers. No sacrifice of our signature throaty growl! 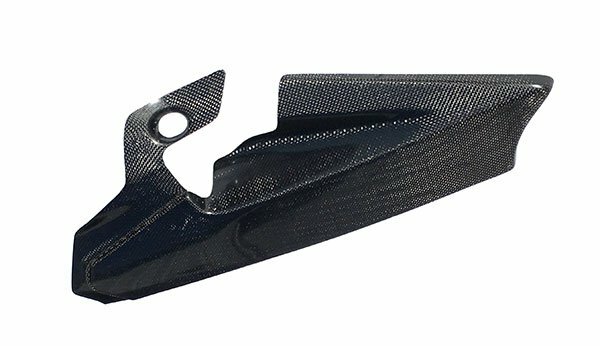 Sharper-looking carbon fiber trim panels – air-controlled louvres have been included in the trim panel and compliment the stock bodywork for an integrated design. 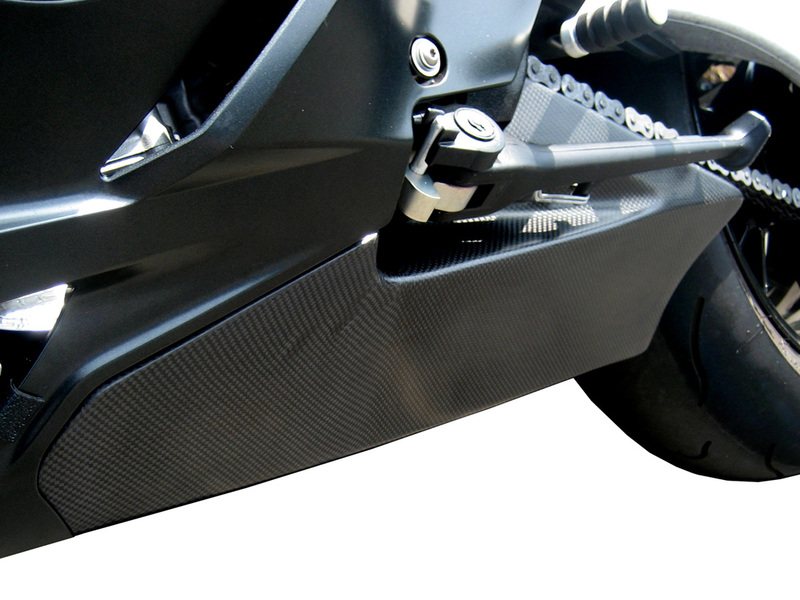 We’ve specifically addressed the tight clearance between our trim and the kickstand as experienced in the previous model and now offer a roomier cutout in the trim to freely accommodate the kickstand with more ease. Keep your stock O2 sensors in our stainless steel, Cool Ceramic Technology coated headers and let your bike do all the fuel optimizing. No additional retuning necessary! I love your exhaust on my BMWS1000RR. 6. Unbelievable / awesome sound (see video: https://www.facebook.com/trackexpendables/videos/1649402375309568/?theater)!!!! 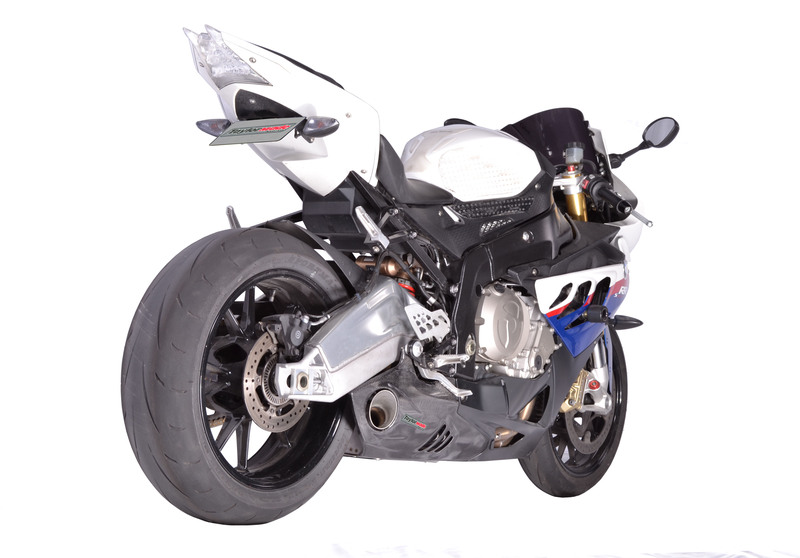 This is exhaust and attached body piece cleans up the bike dramatically! Looks good. 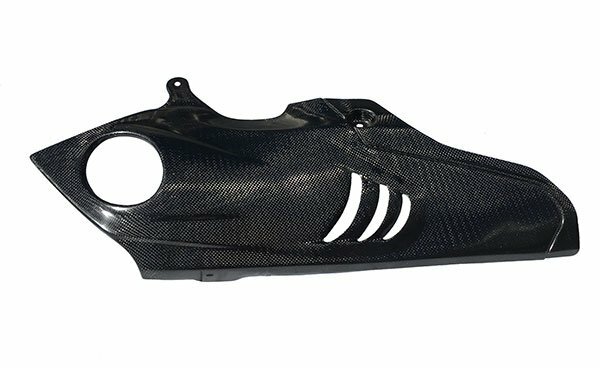 But what stops me from saying “it looks great” is I would prefer that the included piece match the bottom portion of the bike instead of the cosmetic look of carbon fiber.. Maybe we’ll see that for the 2015-2016 model?? Keep up the great work! This exhaust looks absolutely gorgeous on my 2011 S1000rr, it’s yellow/carbon fiber themed and i get COUNTLESS compliments on how good it looks. Most people think the bike was DESIGNED that way from the factory! Goes to show you the thoughtfulness and patience that has gone into this exhaust design. The sound is perfect in my opinion, it has a pleasant rumble low end that is 100% unique and up top the bike is still a screamer, you KNOW it’s a TaylorMade Racing Exhaust just from the sound of it. Some people may have been “skeptical” of it’s power development but let me tell you from riding on the track (Grattan Raceway in Belding Michigan, a HIGHLY technical track at that) the midrange on this bike is DRASTICALLY better and you feel it every time you crack the throttle in corners. On a closed course i was even able to hit a verified 195mph on GPS with me (200+lbs suited) on it. I have absolutely no tune on the bike other than the stock ECU Mapping parameters that came with the bike. It runs incredibly well! On the track i have never even had to waste a second worrying about ground clearance. The weight of this system is not only lighter than OEM, but most importantly the weight is CENTRALIZED. The bike handles heaps better and the difference is very noticeable on the track. 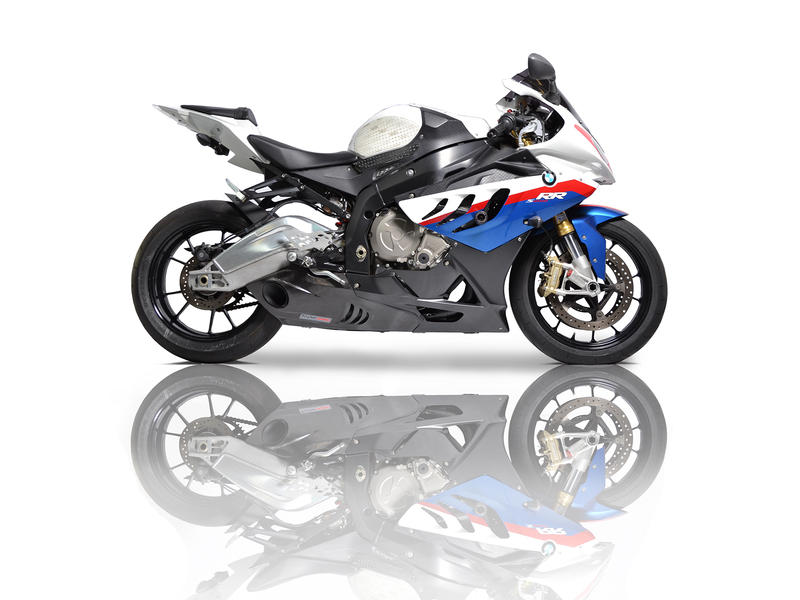 BMW made a PROPER motorcycle with the s1000rr, this is a PROPER built system that compliments the bike and you will be reminded of that every instance you stop and someone points it out to you! I look forward to the day i race this bike in WERA with this same exhaust! the cables out cleanly. The remaining ends were easily tucked out of the way. As to performance, took her out. Opened her up and instantly noticed my mid and top end had stronger pull. Normally in 6th gear, flat out, she lags and lacks the HP to bounce off the limiter….. no longer a problem. Overall, the install was a great success and worth the skin I’m missing off my nuckles…. great job Taylormade!